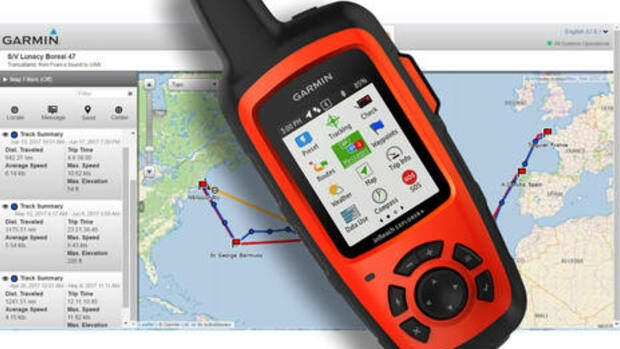 Let&apos;s start with the new GPSMap multifunction display series. The 7-inch touchscreen MFD above is one of four new 7x2 models and there will also be four 9x2 models, all now online here. 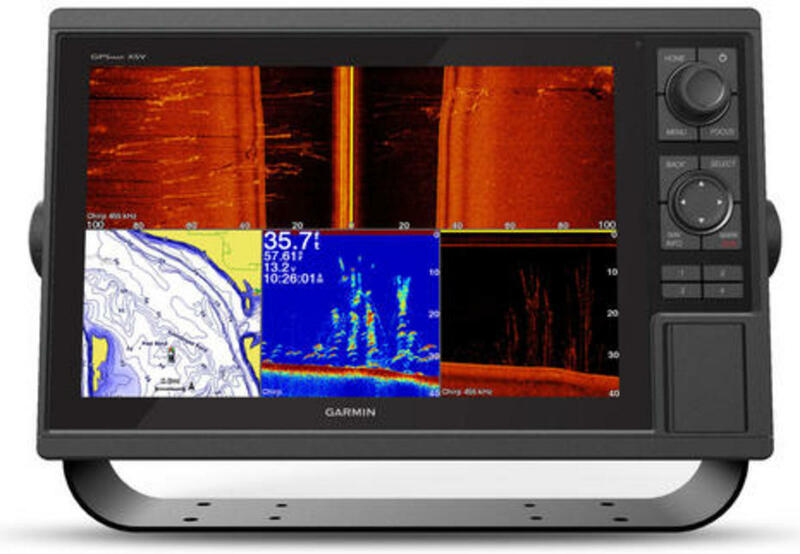 Here&apos;s how they differ: The top-end 742xs retails at $1,000 with preloaded U.S., Canadian, and Bahamas charts, plus U.S. lake maps and also built-in traditional/CHIRP fishfinding and CHIRP ClearVu (the bottom right window above, called DownView or DownScan by other manufacturers and subject to a long-term patent dispute). 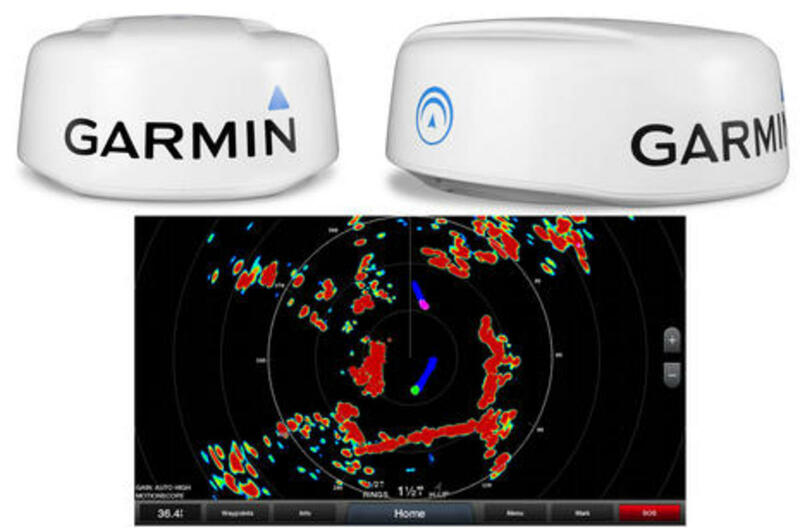 For $100 less you can get a 722xs with just a worldwide basemap or a 742 with no sonar, and, finally, the $800 GPSMap 722 has neither sonar nor detailed charts. 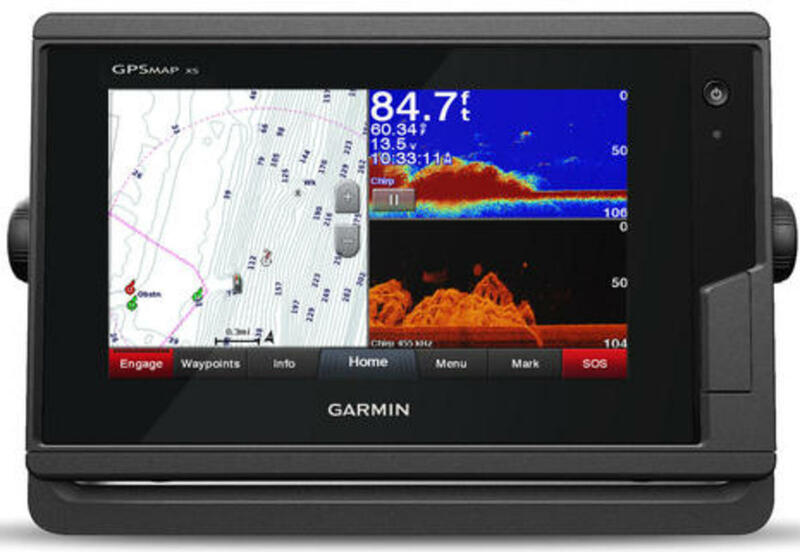 The 9-inch touchscreen is a new size for Garmin and the four 9x2 models follow the same naming conventions and pricing increments, with the GPSMap 922 at $1,100 and the top-end 942xs at $1,300. 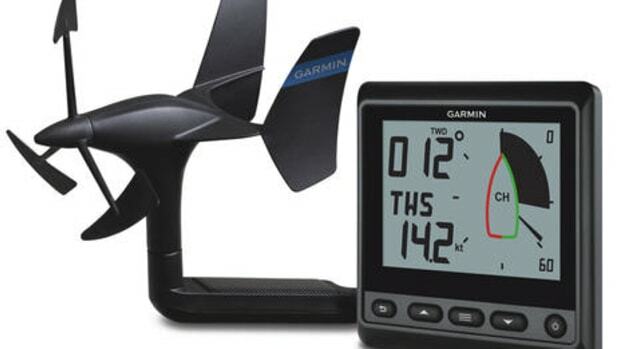 Feature wise, I don&apos;t see much that hasn&apos;t already been introduced in Garmin&apos;s 76xx/74xx models and high-end 86xx/84xx series. But I think it is a big deal to have all those features at much lower prices (still not cheap, but the press release&apos;s, "designed for the budget-conscious customer who desires premium features," seems fair). 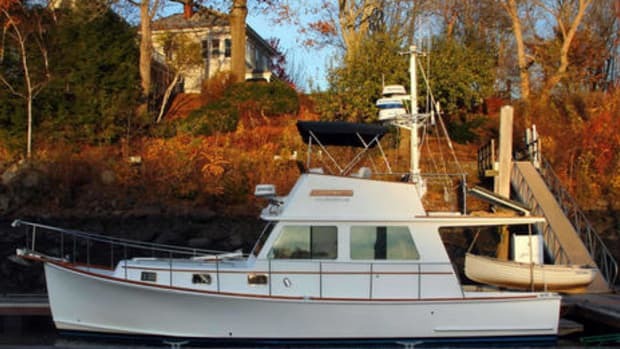 I&apos;ll discuss the features further below, but in the meantime, can anyone find a significant difference between the $1,100 GPSMap 7407 and the new $800 722 aside from the J1939 engine port? 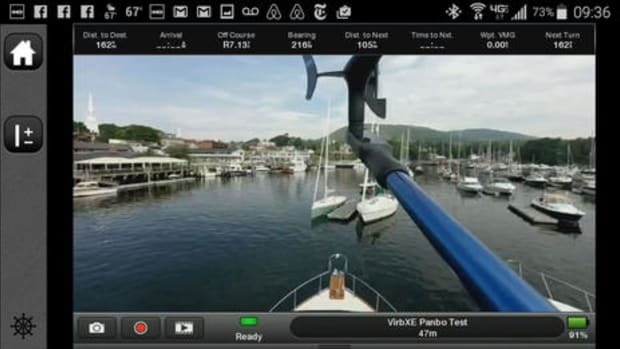 The new not-touchscreen GPSMap 10x2 and 12x2 series follow the same four-model-per-screen-size pattern, except that sonar models like the 12x2xsv above also include SideVu processing. The 10-inch models range from $1,700 to $2,300, and the 12&apos;s from $2,400 to $3,000. 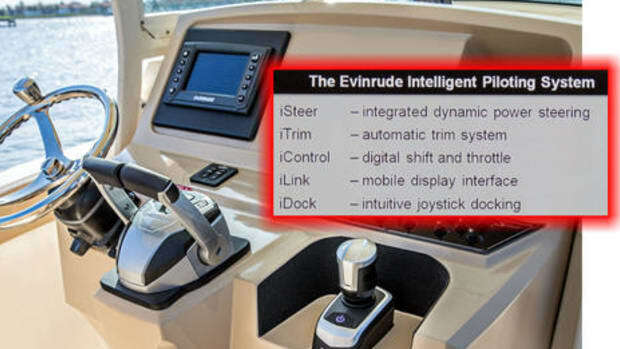 Personal opinion: if the newly designed "keyed interface" with separate knob and cursor controls works as well as it looks, I&apos;ll be lobbying Garmin to put it into a remote keypad alternative to the big GRID or the Wireless Remote. 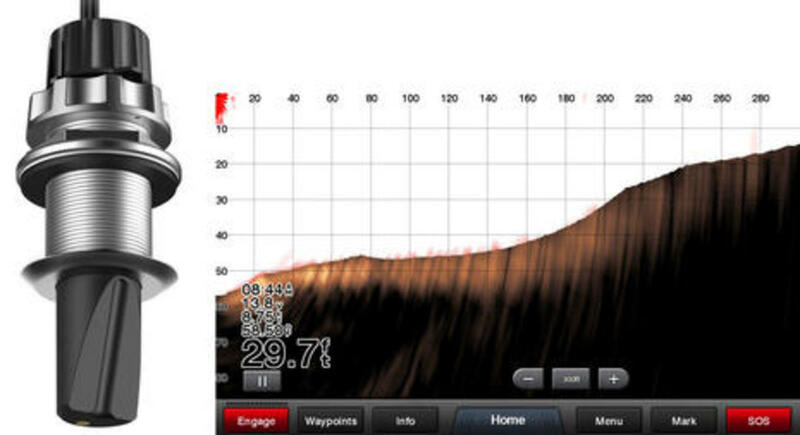 While this screen shows the new Garmin Fantom 24 radome at work, it was not taken with one the new MFDs. But it could have been because the 7x2, 9x2,10x2, and 12x2 series all support newer Garmin features like that Virb camera window (I so like) plus the built-in ANT connectivity to goodies like the gWind Wireless 2 sensor and the Quatix 3 watch (that have both also tested well for me and await writeup). But the change runs deeper than surface features. 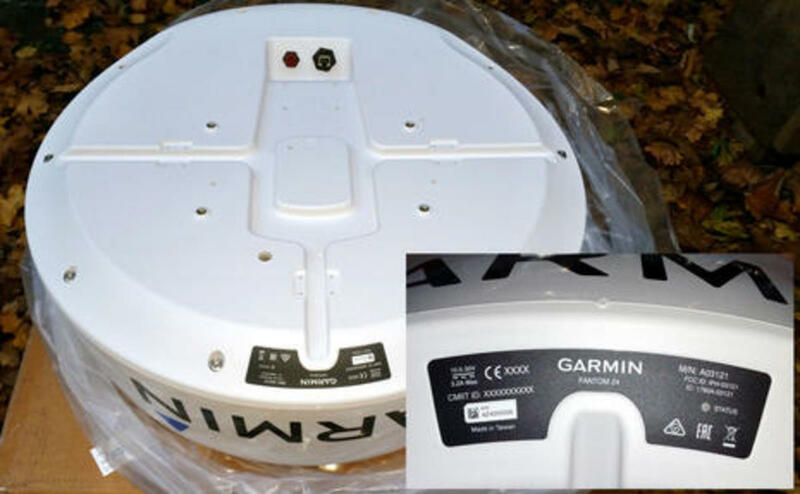 Over the last couple of years Garmin seems to have changed MFD software platforms and even how it does some wireless connections like ANT. 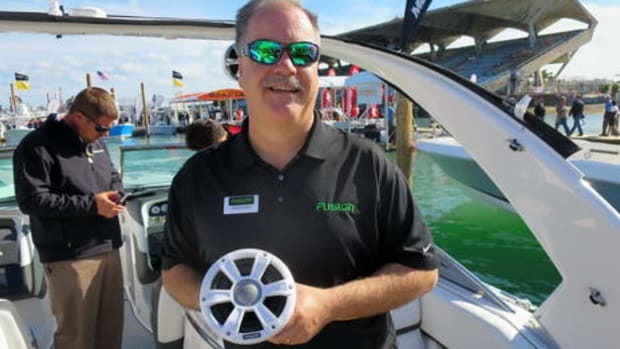 The results range from interface routines that work differently between different model networked displays to new accessory products that don&apos;t work with fairly recent MFDs, or vice versa. For instance, I was surprised to learn that the RF Wireless Remote Control that had worked with many past Garmin MFDs had been replaced by the very similar Wireless Remote. Paying attention to "Compatible Device" lists is always important, but with all these new MFDs Garmin seems to be getting back toward the single software/hardware platform that makes for smooth networking and less "backward compatible" pain. 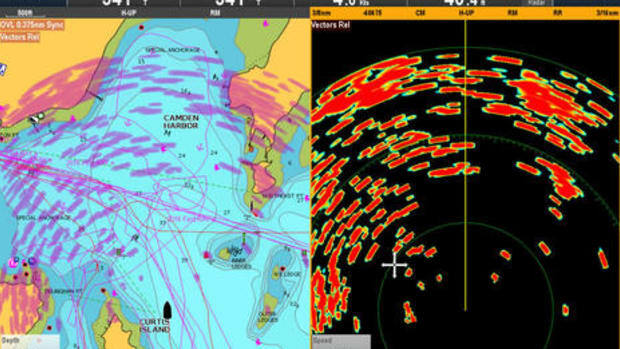 Before moving on to new radios and the especially interesting new Garmin forward looking sonar (with a little of that pain), do click on the screen above for a bigger view of what&apos;s happening as that vessel runs fairly fast at night. 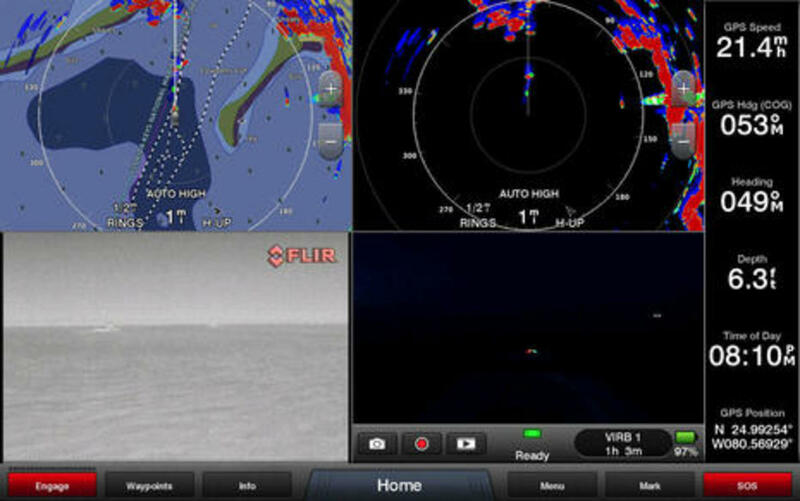 The FLIR thermal camera image is obviously valuable, especially contrasted with the VIRB that seems to be just showing the boat&apos;s own bow running lights and maybe the lit nav aid about a third of a mile ahead. 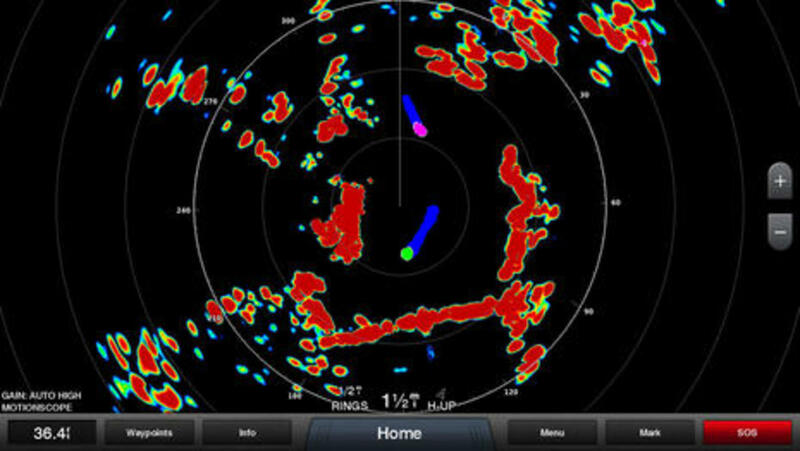 But check out how the Fantom MotionScope (Doppler) indicates that both the vessels ahead are moving away, which is arguably more valuable information than what shows on the more expensive thermal view. I&apos;d probably still slow down. 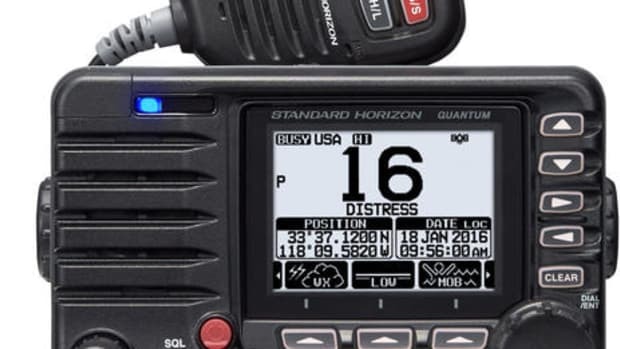 That&apos;s the new $600 VHF 210 AIS left of the $289 VHF 110 radio, both of which await FCC approval before real shipping dates can be set. 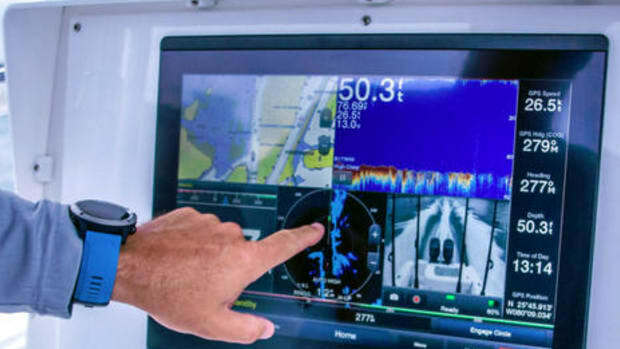 Both have NMEA 2000 interfaces, which Garmin has made good use of in the past (with smart added emergency call help last year), and I think that they look sharp. But I don&apos;t see any mention of wired or wireless remote mics; I found the previous models a little hard to read, anyway, and, particularly at the 210 AIS price level, the new Standard Horizon GX6000/6500 and also the Icom M506 series both have lots to offer, though with more generic N2K networking. 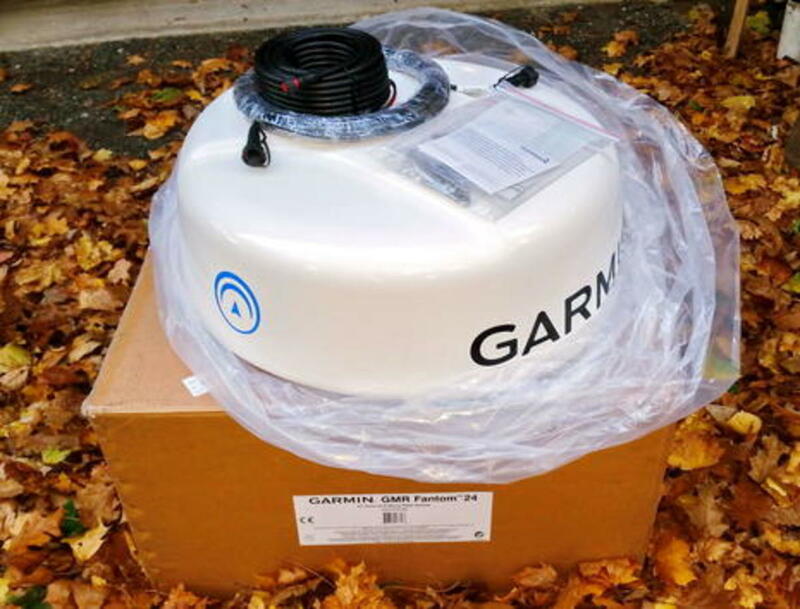 And here is Garmin&apos;s new Panoptix PS51-TH multibeam thru-hull transducer, which seems to look a whole lot like the Simrad/B&G ForwardScan I&apos;ve appreciated testing over the last two years. In fact, it fits in the same 2" Airmar casing and that means that the PS51 now in transit from Kansas should be working in Gizmo very soon. I&apos;m hoping to see better forward looking performance from the Panoptix technology, but there&apos;s also a substantial cost difference with the PS51 at $1,500 and the FowardScan transducer at $699. Game on nonetheless (and here&apos;s hoping this doesn&apos;t trigger more of the confusing patent fighting well covered here by Reagan Haynes). The testing situation is also good for the new GMR Fantom 24 radome and the screen above sets my expectations high. What I like is the mix of true color returns with approaching and going-away moving vessels color coded and usefully echo trailed. Even the $2,600 Furuno DRS4D-NXT Doppler radome that&apos;s so impressed me this season can&apos;t do that, though I notice that the similarly premium $2,800 Fantom 24 doesn&apos;t seem to have anything like the NXT&apos;s Doppler-assisted ARPA capabilities. Then again, the $2,000 Fantom 18 has the same 40 W output as the 24 and the original open array Fantoms I saw demoed in Miami, which bodes well for range. Yes, I&apos;ve got some install work to do, and there is still some fall color up here (and unraked leaves in the driveway). The Fantom 24 arrived yesterday afternoon and I&apos;m fairly sure that I can use the power and data cables already run for the test Garmin xHD 24 currently aboard Gizmo (the test Raymarine Quantum Q24 remains the only radar able to use WiFi instead of Ethernet for the MFD network data connection). In fact, Gizmo may soon sport just four radomes again, but all solid-state. What a difference this year has made.